It’s the beginning of the week (Happy Monday!) and that means it’s time for a recap of the most awesome week ever! (Psst: Earlier this week, we wrapped up the Fair Ivy contest by getting the rest of our entries and posting a mashup. Stay tuned next week when the finalists will be announced. We also had a fun and engaging guest post from Jean at SoapArtOnline on how to cut one of those 25 lb. monster soap blocks and posted a much anticipated Soap Queen TV episode that has been a year in the making. Are you ready for the winner of last weeks Facebook Photo of the Week? Check it out below. 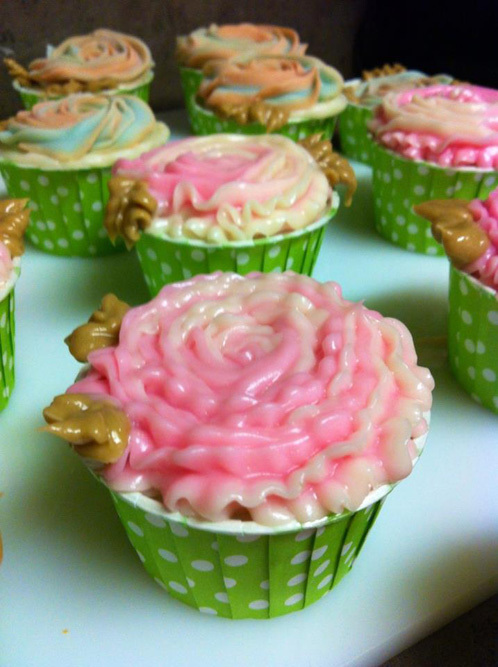 This week’s absolutely adorable photo comes to us from Tanya of Baby Duck Soap Co. She told us that she made these adorable soap cakes with her favorite fragrance the cheerful and delicious-smelling Summer Fling for Mother’s Day. When I saw these, I was instantly taken by the detail in the piping and the creativity she took in trying a different technique then you usually see in soapy cupcakes. 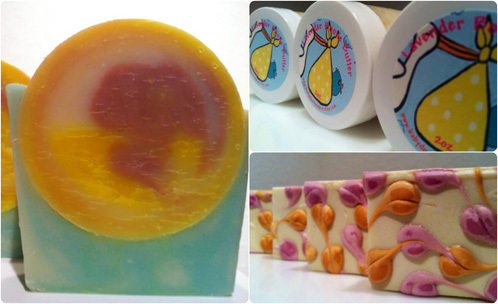 Be prepared to check out some of her super great soaps in our Spring Soapy Swap (she is using Cherry Blossom FO in CP)! Thank you so much for being an amazing part of our soapmaking community of Bramble Berry’s Facebook page, Tanya. Expect a happy and special surprise package being sent your way. Tanya’s Facebook Page: Baby Duck Soap Co.
Tanya – My mouth started to water when I looked at your cupcake soaps. So pretty! I love your work!